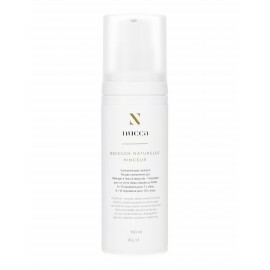 A lively blend dominated by fruit in a fusion of blackcurrant, apple, sweet lime, parsley and lemon, it offers a welcome sensation of lightness and rejuvenation. Available in concentrated form in 100 ml bottles, which provides 10 litres of beverage. 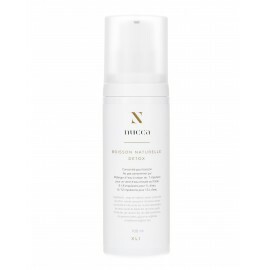 An excellent alternative to coffee or tea, they are also formulated to be a perfect complement and natural companion to body or facial care by Nucca.